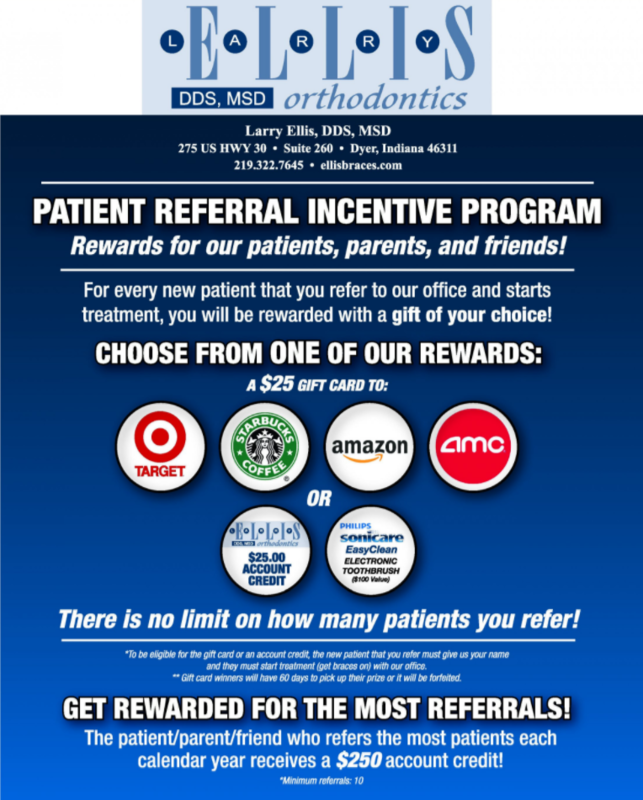 Here at Ellis Orthodontics not only do we like working with our patients directly, but financially too! Orthodontic care is an investment, and we strive to make it obtainable for everyone. Before your complimentary consultation, we contact your insurance provider so we can accurately quote you what you are expected to pay out of pocket. Down payments are only $365!! We divide the final cost into a payment plan that is determined by how many months you will be in treatment. If you refer a friend or family member to our office, and they begin treatment, you may select a gift of your choice. We offer Sonicare tooth brushes, $25 gift cards, or even account credits. There is no limit to how much you can earn! Another way to save, is if you are treatment ready the day of your consult and sign up, we will take $100 off the final cost.